The Philadelphia Orchestra's Board of Directors voted to file for chapter 11 bankruptcy on Friday. It's an effort to reorganize in the face of a five million dollar operating deficit. The current season will continue as scheduled for the time being, but this filing bodes ill for the arts in the United States. 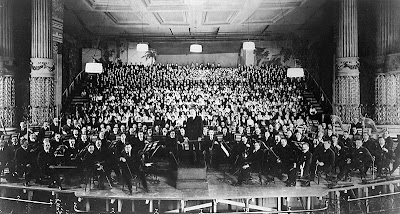 The Philadelphia Orchestra at the US premiere of Mahler's Eighth Symphony in 1916. 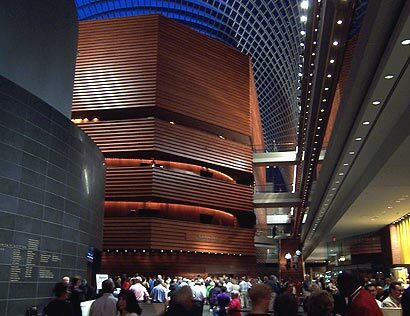 The Philadelphia Orchestra is one of world's most renowned and respected arts organizations. 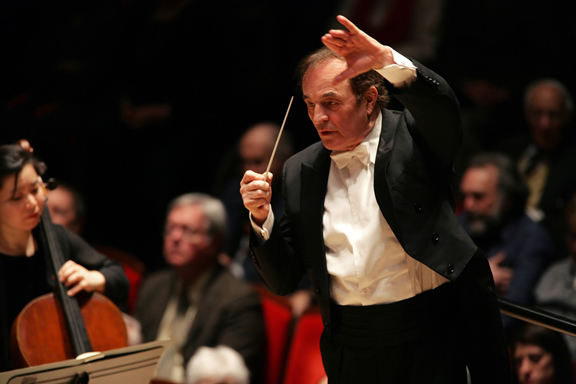 Over the course of its 110-year history, names that loom over the world of classical music have assumed its helm. Names like Wolfgang Sawallisch, Leopold Stokowski, Eugene Ormandy, Riccardo Muti, Charles Dutoit and Yannick Nézet-Séguin. 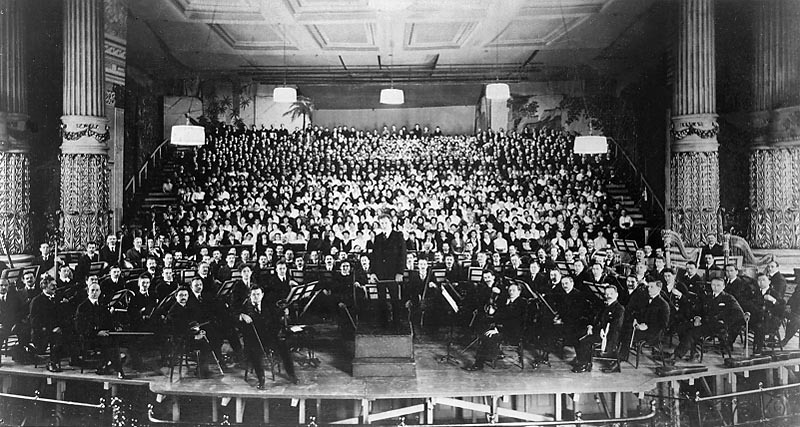 The Philadelphia Orchestra was the first orchestra in the world to start recording its work (in 1917) and was the first to appear regularly on the radio (in 1925). Under the baton of Leopold Stokowski, the Philadelphia Orchestra recorded the first-ever multi-track, stereophonic soundtrack for Disney's Fantasia in 1940. 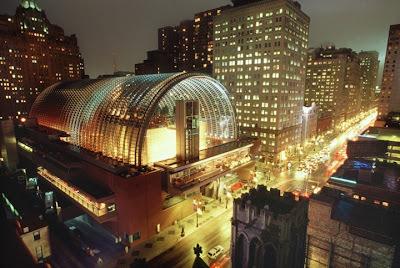 The Philadelphia Orchestra was the world's first symphony to sell recordings of their work via downloads from their website in 2006 and later through iTunes. From its original home in Philly's Academy of Music to its spectacular digs in the Kimmel Center today, the Phildelphia Orchestra has been at the forefront of adopting new technologies and appealing to new audiences. It's one of Philadelphia's (and the US's, and the world's) great cultural institutions and now all of that is in peril. Symphony orchestras aren't the sole province of the blue-haired and the idly wealthy. Arts organizations like the Philly Orchestra preserve and pass along the best of western civilization. Our very culture is at stake here. Arts organizations in general, and orchestras in particular, are community assets of the highest order. Keeping them alive needs to become a national priority. This is the result of decades of slashing arts funding in schools, arts funding locally and arts funding nationally. You cannot have a great nation without great art. Repeat that often enough until it sticks. If you live in an area with an orchestra, please go see a performance. Then keep going back. 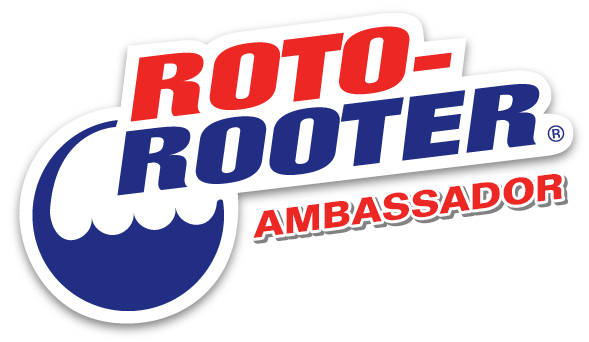 Make a donation while you're there. This is Eugene Ormandy at the helm in 1975 as he conducts Gustav Holst's The Planets, Opus 32: Jupiter the bringer of jollity. That's incredibly sad news indeed. I'm not sensing any kind of an upswell of support and it makes me fear for the future of the arts in the US. Oh no, not another! And it's especially disturbing considering how large Philadelphia is.